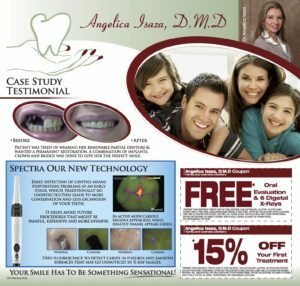 Early detection of cavities means pinpointing problems at an early stage, which traditionally go undetected. This leads to more conservation and less excavation of your teeth. It helps avoid future procedures that might be painful, expensive and more invasive. In active mode, various regions appear red, while healthy enamel appears green. 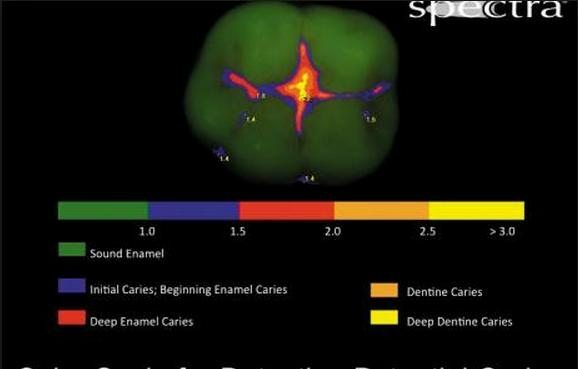 Spectra uses fluorescence to detect caries in fissures and smooth surfaces that may go unnoticed in x-ray images.